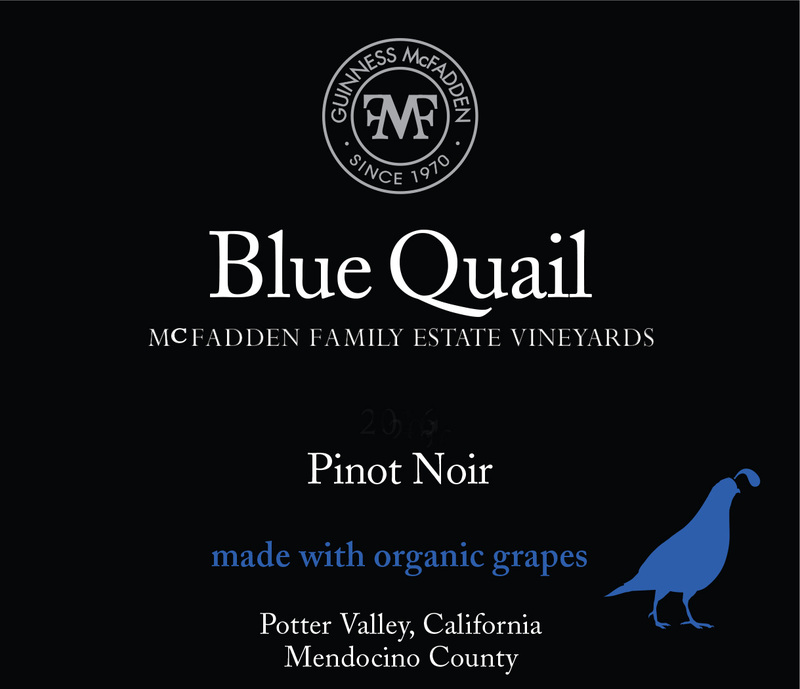 This wine is 100% Pinot Noir sourced from Blue Quail’s certified organic estate vineyards located in Potter Valley in Mendocino County, California. The estate is on 500 acres, 160 acres under vine, that straddles the Russian River, neighbors the Mendocino National Forest and sits up at 1,200 feet in altitude. 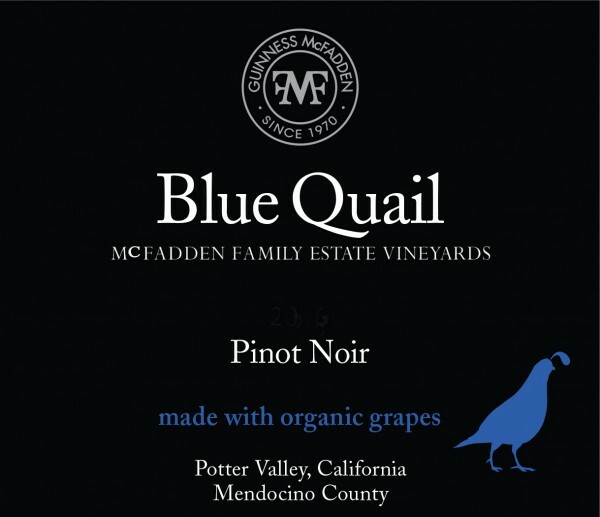 Temperatures regularly plummet 40-45 degrees each night, allowing a longer maturation period and the grapes to develop a fullness of flavor that is balanced by a crisp acidity. 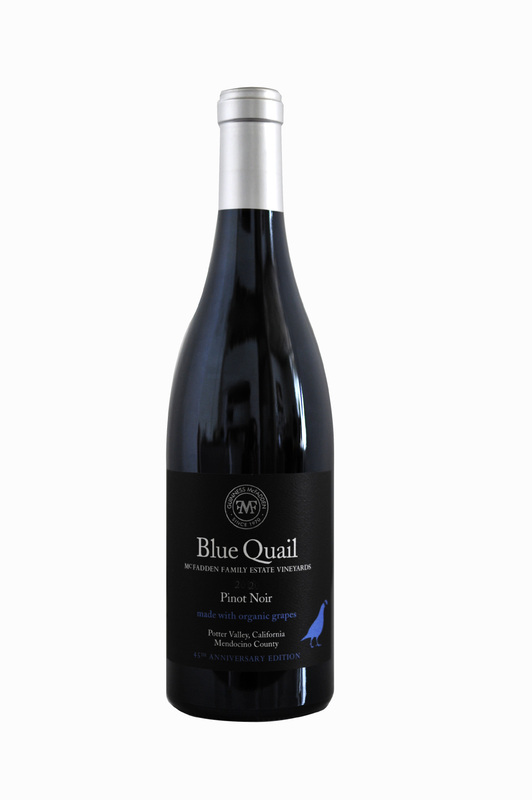 Fermented in stainless steel with extended maceration, then transferred for aging in 55% neutral French oak barrels and the balance in upright oak tanks.